In my family, we refer to age 5 as my “year of the sweat suit.” A friend of mine had a similar phase with long johns. And my neighbor rues the day she ever introduced her daughter to leggings, which was also the last day her daughter ever wore actual pants. 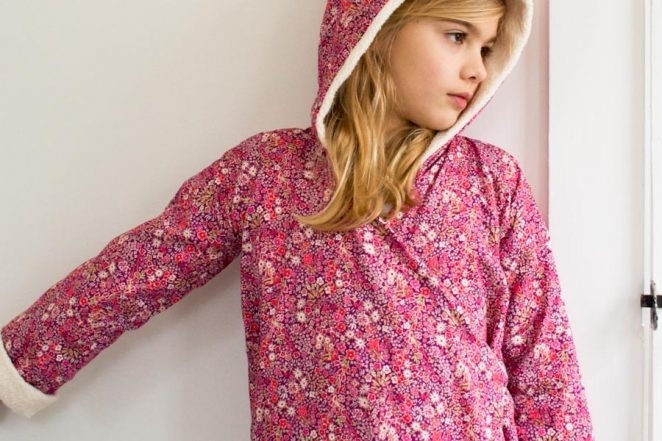 For the under-10 set coziness is key, but it’s rare that a kid’s idea of comfort overlaps with a parent’s sense of style. And so, I designed the Kid’s Robe to cover both bases. For the child, a cozy fleece or Sherpa lining, and for the adult, clean lines and a classic cut, everyone’s happy… and toasty… and cute! 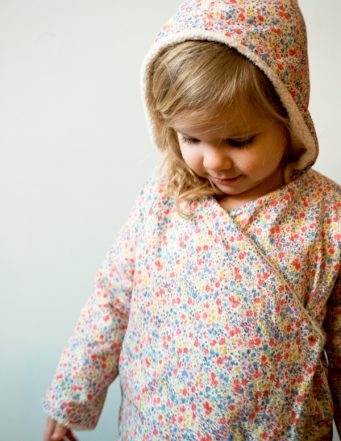 The Kid’s Robe Pattern includes sizes from 1- 9 years in two styles: Version A, with a snap closure, and Version B, with a belt. For the lining we recommend a super soft knit fabric, such as Michael Miller’s Organic Sherpa or Cotton Fleece and for the outer fabric, a beautiful woven cotton. 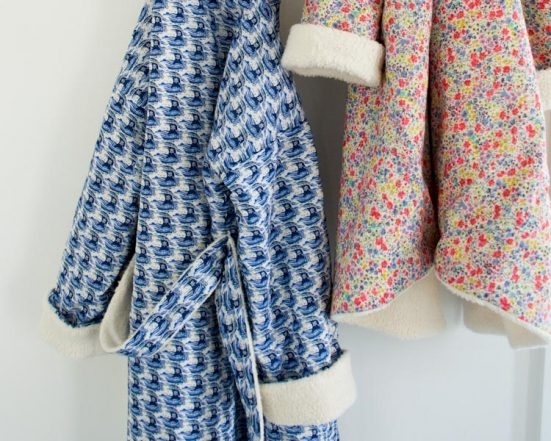 I made my robes with Sherpa and Liberty of London’s Tana Lawn, a combo that’s a treat both inside and out! 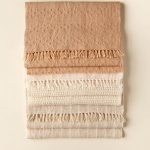 1 ¼ (1 ½, 1 ½, 1 ¾, 2) yards of a 44-inch woven cotton OR 1 ¼ (1 ¼, 1 ¼, 1 ½ 2) yards of a 54-inch woven cotton. I used Liberty of London’s Tana Lawn in Phoebe Lime, Kayoko Pink and Blue Samols. 1 ¼ (1 ½, 1 ¾, 2, 2 ½) yards of a 44-inch knit. I used Michael Miller’s Organic Sherpa. A walking foot for your sewing machine. For Version A, with snaps, you will also need two size 4 snaps. 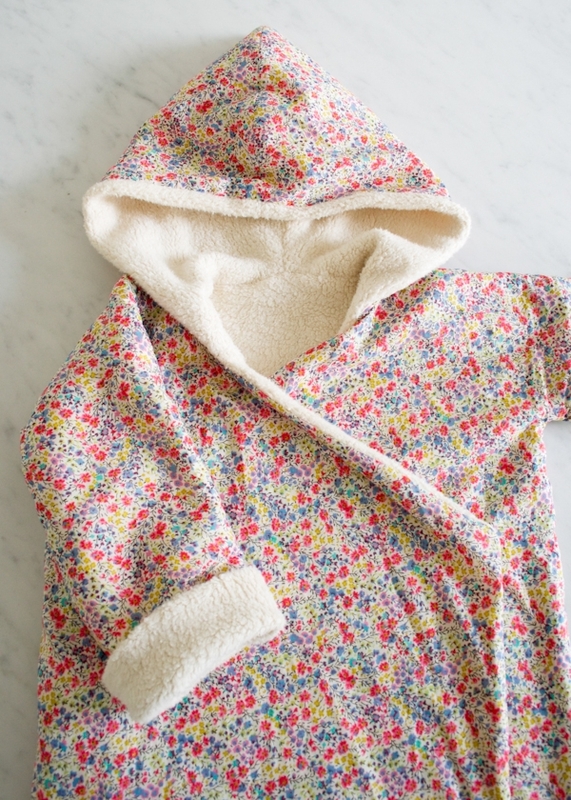 Purl Soho’s Kid’s Robe Pattern. 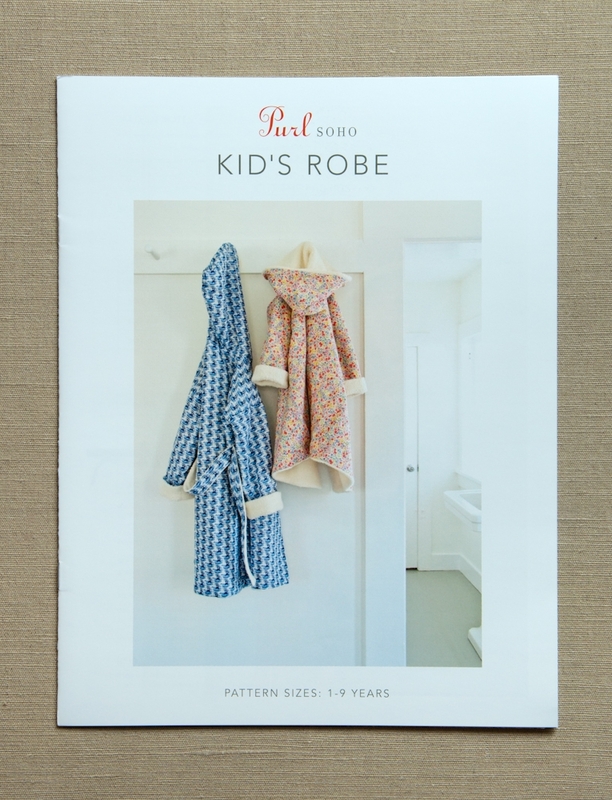 The Kid’s Robe Pattern is available for purchase as either a hard copy or download. Great project! 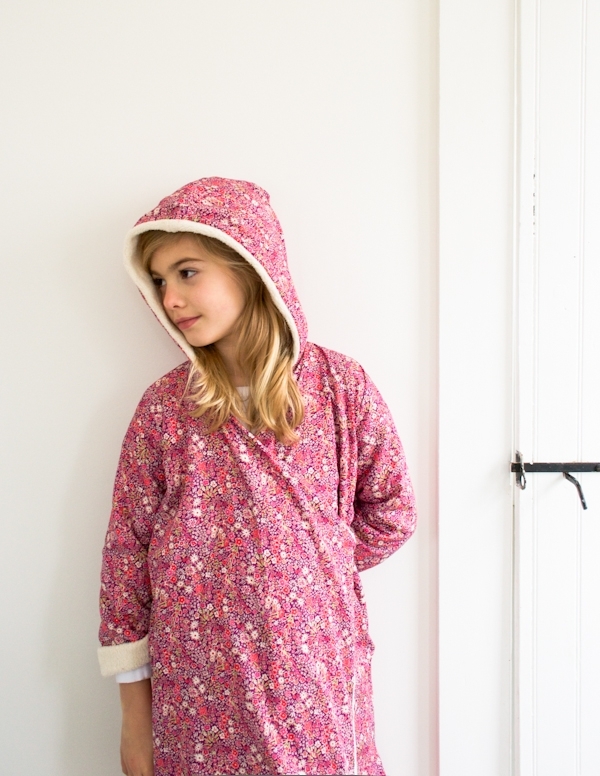 I am loving that you all are putting more simply made kids garments out there – thanks! I'm finishing up the earflap hat now and I think that this robe will have to go to the top of my sewing list. I love it. Please can we have an adult one for my teenager. 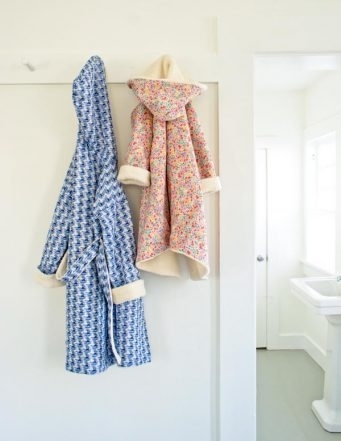 Wouldn't it be a nice surprise say for Mother's day if there was a Mama size robe pattern! This is so cute! I want to make one right now. I agree with JP – if there were an adult size, I would snap that up in a second, too. I'm with the other ladies; an adult version would be great! This looks like a fantastic project. Would you be able to give some guidance as to the difficulty of the sewing involved? All of the sewing in this project is pretty straight forward and the pattern booklet is very thorough. There are a few challenging bits (for example, attaching the hood at the curve of the neck can get a bit tricky), but nothing that a little bit of patience can't solve! Please please please will you make an adult pattern? I would instantly make the fabulous blue robe!!!! I'd love this in adult size — i want one for me too! This is a great question! The seam allowances are all included in the measurements and pattern pieces. This is a fantastic pattern – as somewhat of a beginner seamstress, I found the instructions and accompanying photos extremely helpful. I have one question: should be using a zigzag stitch on the knit fabric as I piece it together, or a straight stitch? Thank you for writing in! I am so glad that you are enjoying the pattern! You can piece the knit fabric with a straight stitch, but I do recommend using the walking foot attachment on your sewing machine. Please let us know if you have any other questions while you’re sewing! Hi, I love this pattern and I’m planning to sew a couple as Christmas gifts for my daughter and niece but the person who would really LOVE this is my mom. I have no idea how to resize the pattern for an adult though. Do you have any recommendations? Thanks! This is not the same AT ALL. I really want the cross-over style of the kids’ robe, but in an adult size, not a version of the same old standard adult robe that you can find anywhere. Unfortunately we do not make this pattern in adult sizes. Sorry about that! You might be able to have some success if you mix the adult robe pattern and add a hood. The cross over is pretty easy to add on — you just make the robe’s front extension longer. Hope this helps. Hi there, I would like to make this fab robe for my son. Do I need to pre-wash the Sherpa? Thank you. Yes! We recommend pre-washing and drying all the fabrics before you sew with them! I am finally making this as a gift and am a little confused about the hood pieces. There are 3 pattern pieces for outer fabric and 3 pattern pieces for lining fabric (cut two of each piece) but only one pattern piece (cut two outer and two lining) is addressed in the directions and pictures. What am I missing? I am hoping to complete this sweet item in two days. Eeek! This does sound confusing! From the way you’ve described it, it sounds like you may have received extra template pieces with your pattern booklet. There should be one large sheet included with the booklet that has two pattern pieces on it: One for the hood in the outer fabric and one for the hood in a knit lining. So, two pattern pieces total. Do you have more than one of these large sheets? If you do, these were included by mistake. I’m so sorry for the confusion! Hopefully this will help clear it up! Thank you SO much! I ordered a download and the hood issue is what has been making me put the project on hold. Now I am down to the wire and so very happy to hear it is simple! Still having a problem with the hood. My dowloaded pattern has six pieces for the hood, three each for outer and lining fabrics. I thought I should just use the one labeled “hood lining” because the others were odd pieces and this one looked like it might work. Now I am looking at the directions for sewing the two outer pieces together and none of my pattern pieces are shaped as it is in the directions. Also, the piece I thought I could use seems small for the size 6-7 I am making. Any thoughts? Now that I know you’re working with a download, I have a new answer for you – and hopefully this will help solve the problem for good! I’m sorry this is giving you such trouble! As I mentioned before, there are two complete pattern pieces for the hood, one for the outer fabric and one for the lining. Neither of these pattern pieces are small enough to print on one standard letter-sized sheet, so we broke the shapes down into three sections each. These get printed out on three pieces of paper and should be labeled something like A, B + C. All of these sheets (3 for each hood pattern piece) should be cut out and pieced together. You should notice on each of the pieces notes along the cut edges, “attach to piece A”, “attach to piece B”, etc. These notes refer to the corresponding piece. Tape the pieces together along these edges. Once the three pieces for each hood pattern piece are taped together you will see that the hood is the appropriate size and it will match the photograph in the pattern. I hope this clears it all up (again!). Sorry this wasn’t made more clear in the pattern. Let me know if you still have questions about how this works. I’m excited to make this robe for my son! I see that you have the finished size around the chest for each of your sizes, but I’m still not sure which size to make. Do you happen to have the sleeve length or the length of the robe from the shoulder down for each size? It would be great to have a few more measurements to go on. Also, is the chest size meant to be the chest circumference of the child or of the robe (with ease)? Thanks for writing in! These are all great questions. 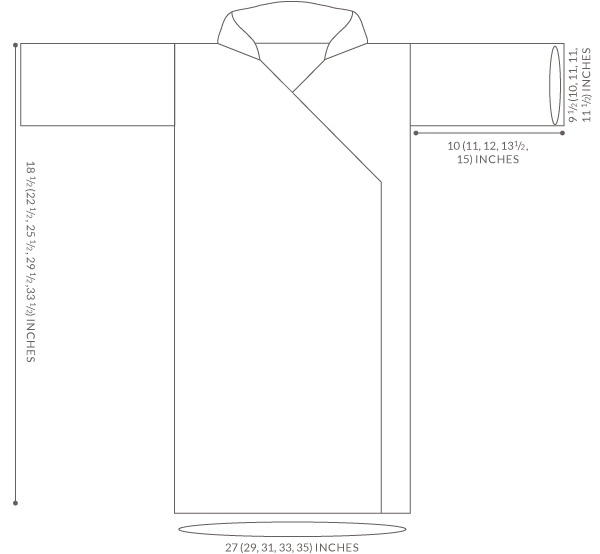 We’ve updated the post with a schematic of the finished robe that illustrates the dimensions of the garment for all of the sizes. Hopefully this will help as you decide which size to make! Wow, that’s great! Thanks so much! 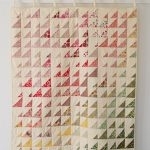 I would like to make this for my kiddies but I don’t have a walking foot for my machine – which I got when I was twelve! I still use it for everything, but a walking foot isn’t available for this model. Is this a big problem? I use a serger and have serged with this sherpa and will most likely try and use that as much as possible. Do you think this can work? I’d like your opinion before purchasing the pattern. Thanks so much! This is a great question! The walking foot helps push the bulk of the Sherpa fabric under the foot of the machine so that the knit does not get stretched out as you sew. I would worry about sewing it on the machine without it, but I don’t know about the serger (I don’t have one and have never sewn with one). You mention that you have sewn with this fabric before – do you have any scrap pieces you could use to do some test runs on your machine and serger to see the results? 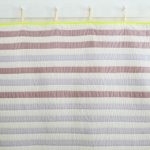 I recommend sewing in both straight and diagonal lines to see how the fabric responds. I wanted to make 2 of these as birthday gifts for my twin niece and nephew. Is there any way to eliminate the lining so that it can be used in the summer months? Or is there an option to create a robe that is lightweight so they can use it now? Eliminating the lining from the Kids Robe pattern would require some pattern reworking and may be tricky. However, you could easily line the Robe with a lighter weight fabric (such as a flannel or double gauze cotton) to make it more all-season. If you make this adjustment, you will not need to use the Hood Lining pattern piece, since your lining will not be a knit. 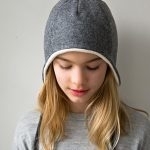 You can use the Hood Outer Fabric pattern piece for all Hood pieces. Please let me know if you have any other questions as you work on this project. Which I love this road pattern and I just went ahead and sprung for the Michael Miller sherpa fabric…ouch! But it is so soft and cozy I couldn’t resist buying it , despite it’s ridiculous cost . I just read some reviews today that said that Sherpa fabric shrinks up a ton, if you like and tumble dry this fabric and did you find you had shrinkage problems as far as having Apple fabric to make the sizes according to the pattern ? TIA! You are right, Michael Miller’s Sherpa is irresistible! I can understand why you took the plunge, and why you’re worried about shrinking! It’s true that this fabric shrinks up quite a bit in the wash, but all of this should be accounted for in the yardage of the pattern, just be sure to cut all your pieces according to the instructions in the pattern, and with little space between. What size are you making? If you are still concerned, I would be happy to do a test to confirm your particular yardage. I am currently finishing this pattern, sewing by hand as my machine broke down in the middle of the project. It is wonderful and I dont want to wait for the machine to be repaired to finish it. I would like to clarify how to finish off the bottom hem of the robe. There is no mention of it in the PDF instructions but at the same time I doubt that it is left unfinished? Thank you for writing in! The bottom hem of the robe is sewn in Step 6 of the “Attach the Outer Robe and Lining Robe” section. Once you have sewn the Outer Robe and Lining Robe together along their Hood and Front opening edges, you trim, pin, and sew their bottom edges together. I hope that helps clarify! Please let me know if you have any other questions. Hello! I am a beginner. 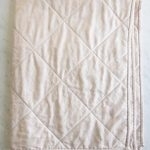 Could you recommend other cotton fabric options on your site that could be good for this project? These patterns are lovely, but I am looking for something that is not floral. 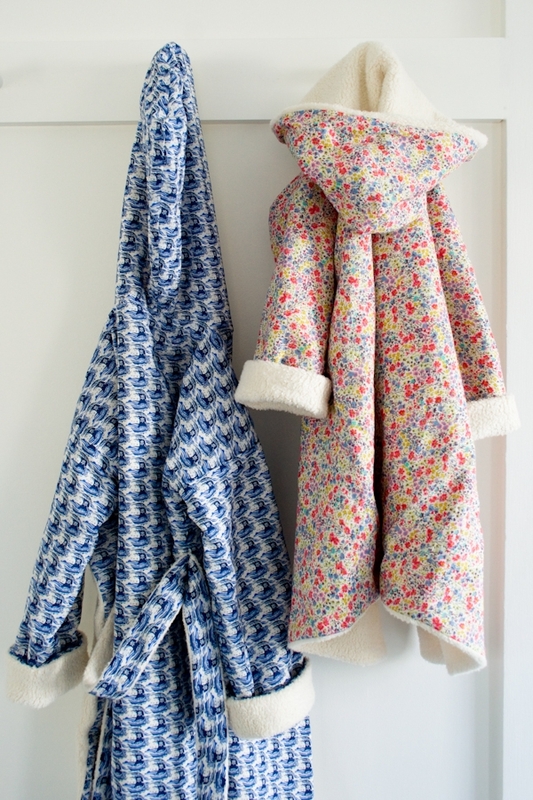 I want to make these bathrobes for two little boys. Thanks for writing in! The Liberty of London that we used is quite soft. As a replacement, I might suggest trying our poplin or a shot cotton. Both would be nice and quite soft as well. Hi! I recently purchased this pattern, as well as several yards of Robert Kaufman Shetland flannel–in two different colors. What do you think about me using the flannel for both layers? Thank you for your advice! Thank you for writing in! You can absolutely use flannel for both layers. I think that it would be a cute detail! I can’t wait to make this robe. Do you think using a microfleece or other cozy fabric will change the outcome of the robe significantly? I love the sherpa but it is out of my price range. Thanks for writing in! You can certainly use microfleece in place of the sherpa. The sherpa does have a bit of a heavier hand than most fleece. However, the microfleece should work well without any modifications! Thanks for writing in! You can certainly replace the Sherpa with a flannel lining. The measurements should all be the same! We have you cut the lining slightly smaller than the outer fabric so as not to cause bunching on the inside. Even with the slightly thinner fabric, this should still work well! I love this pattern. I’ve made 4 robes of varying sizes and they come together pretty quickly. The only thing that seemed a bit off for me was the armpit area was a bit tight in the smaller sizes I sewed. Next time I plan on adding a little more roominess. Yes! I am looking at the almost completed robe and thought maybe I had turned the 11.5 and 14 in dimensions (size 6). Ackkk! It’s bunchy and has a skinny arm! At what point are you adding the extra roominess? Maybe 14×14? AND I don’t see any pictures of the robe with belt (not snap) on a model, does the front flap just kind of lay open? Additionally, the belted robe when tied with the belt overlaps at the front!